Arizona defines a DUI as being in physical control of a vehicle while physically or mentally impaired by drugs or alcohol. A DUI conviction can seriously hurt your future. The Arizona DUI law is strict, and the penalties are severe. Every aspect of your life can be negatively impacted by a DUI: family, personal, professional, financial, and social. Let’s say you have been arrested and got a ticket for DUI in Mesa. Even the most upstanding residents of Arizona with no criminal arrests or prior tickets will feel the hurt of a DUI conviction. One single misdemeanor DUI conviction in Mesa can affect your future. It is crucial that you have an experienced Mesa DUI attorney protecting you rights and preparing a defense that will get you the best possible outcome for your DUI case. Next, a DUI conviction may hurt your chances for employment. Some employers can’t hire you because of a DUI on your record, even if they wanted to. For example, police department, some schools, hospitals, day care, libraries, and fire departments may not be able to give you a job. One of the penalties that comes with a DUI in Arizona: you lose your driver’s license for at least 30 days. With a suspended license, you are not able to drive yourself to work. Furthermore, if you are convicted, the vehicle you drive must have an interlock ignition device installed. This is a device with a. straw that you must blow into to show that you have no alcohol in your system before the car will start. Now, if your job includes driving a company vehicle, you may not legally drive the business car with an interlock restriction. A really awkward situation is having to tell your boss about your DUI ticket and arrest. Some professions are required to tell their employer or the professional licensing agency. Many people are surprised that military personnel, school teachers, coaches, and volunteers, and nurses are technically required to tell their supervisor. It is so important to choose the best DUI attorney to represent your rights. Having the right Mesa DUI Lawyer may be the one most critical factors in deciding the outcome of your case. There are special situations in which a DUI in Mesa can put a strain on your life. In the case of a divorce, if you have a DUI misdemeanor conviction on your record, the courts may presume that you should not have full custody of your children. As soon as you get a DUI ticket, your best defense and protection for your future, is to call My AZ Lawyers Mesa DUI Law firm. 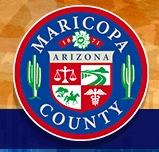 We have experience representing Mesa residents who are devastated by getting a DUI ticket. We can help you understand the law and the DUI penalties. Typically our clients ask, “What will happen to me next?” Understandably there is fear and concerns and questions about the arrest. Or Mesa DUI attorneys offer a FREE consultation with a trusted professional dedicated to providing the expert legal representation you need for a DUI case. If you should happen to have a profession that requires driving, your future career may be at risk. Even if it is not a requirement of your job, we all drive, and if your insurance company finds out that you received a DUI ticket in Arizona, that is a problem. Insurance rates could more than double, or your provider may even end your policy. The Arizona DUI law encompasses alcohol and drugs. You may think that you are above this law if you have a medical marijuana card. Even with this proper documentation, if you are driving while impaired by marijuana, you may be arrested. Faced with a DUI situation, you need to find the right lawyer. Can’t afford an attorney? My AZ Lawyers offers affordable payment plans and options to make exceptional DUI representation doable. An attorney will listen to the details of your case, and explain your options for your particular circumstances. We’ve got your back, and we will give you the information you need to proceed with your arrest, and give you options. In order to make good decisions that will impact your future, our attorneys will provide you with the advice and prepare a defense to get the best possible outcome for your DUI case. Arizona has some of the strictest DUI laws in the nation, with penalties that exponentially increase based on the severity of the DUI infraction. While a majority of DUIs are alcohol related, Arizona defines a DUI as operating a vehicle while mentally or physically impaired by alcohol, or drugs. The following is an overview of Arizona’s DUI Laws as they relate to drinking and driving. The BAC (blood alcohol content) legal limit in Arizona is 0.08%. This means if your BAC is over this limit, you will get a ticket for DUI. However, Arizona DUI law states that a person who is “impaired to the slightest degree” can be charged with driving under the influence. So, technically, if an officer pulls you over, if they can prove by field sobriety tests, or statements you give, you may still be found guilty of DUI. The minimum penalty for a DUI (first-time) conviction in Arizona includes 24 hours jail time, fines and fees, installation of an Ignition Interlock Device for one year, 90 day license suspension, and alcohol class/education. Consequences for repeat DUI offenders, or drivers who are “extremely drunk,” are even more severe. When a person driving has a BAC of 0.15%, it is regarded by law at the next level, which is an extreme DUI. A Super extreme DUI is a BAC of 0.20 BAC or higher. The higher the level of offense, the greater and more severe the penalties.